I started Virginia the Wolf in 2013, not really knowing what I was doing or where it was going to take me. I have a passion for science and animals and have always loved colour and design. After a few days spray painting my skull collection, I knew that something bigger needed to be made. 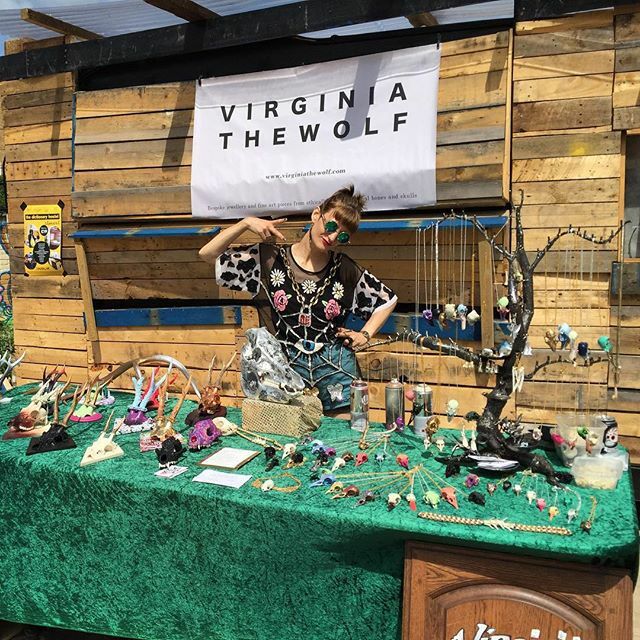 Over the years, Virginia the Wolf has grown from being a hobby of making colourful skull necklaces into a project beyond anything I could have ever imagined. Every collection gets bigger and better, creating more intricate and sexier designs. I feel so fortunate to be able to do something which inspires and awes me every day and am so grateful to all my fans and customers for coming along with me on this incredible journey. I can not wait to see what else comes from this crazy little world of osteoart. Watch this space...this is only the beginning.